Acesulfame potassium is an artificial sweetener 200x sweeter than sucrose. Its bitter taste is often masked by blending with other sweeteners. Studies of acesulfame potassium’s carcinogenic, mutagenic, and hormonal effects tend to note responses only with extremely high levels of intake. However, studies suggest that exposure to acesulfame potassium in utero or via breast milk will influence the child’s later sweetness preferences. 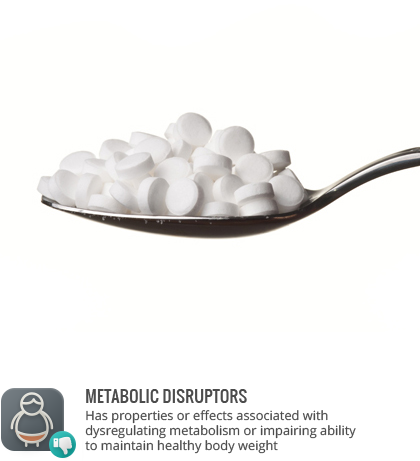 Additionally, artificial sweeteners might influence and increase appetite, particularly in children.